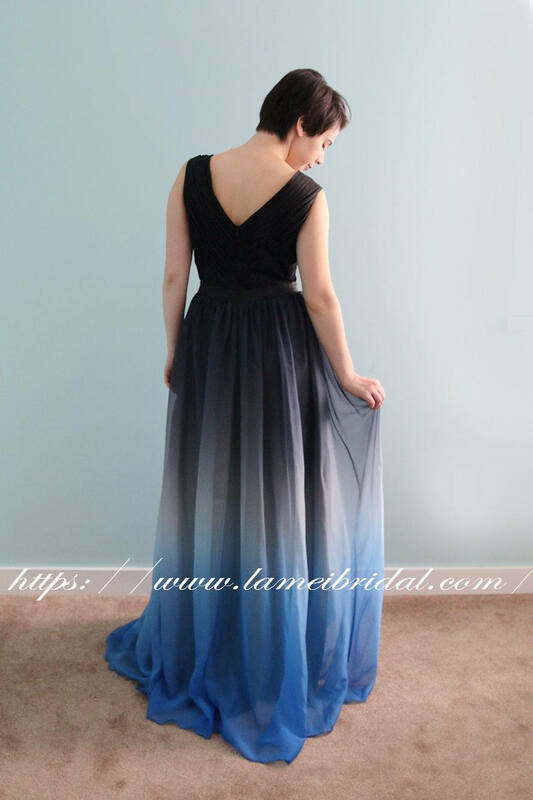 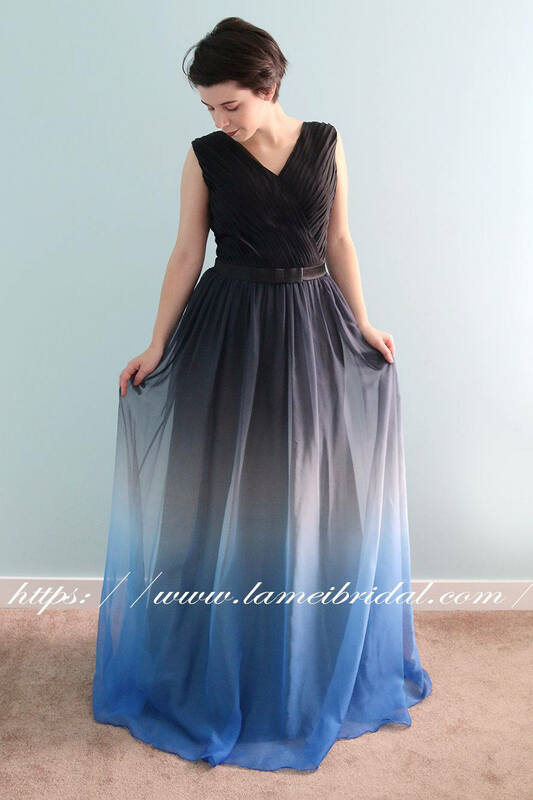 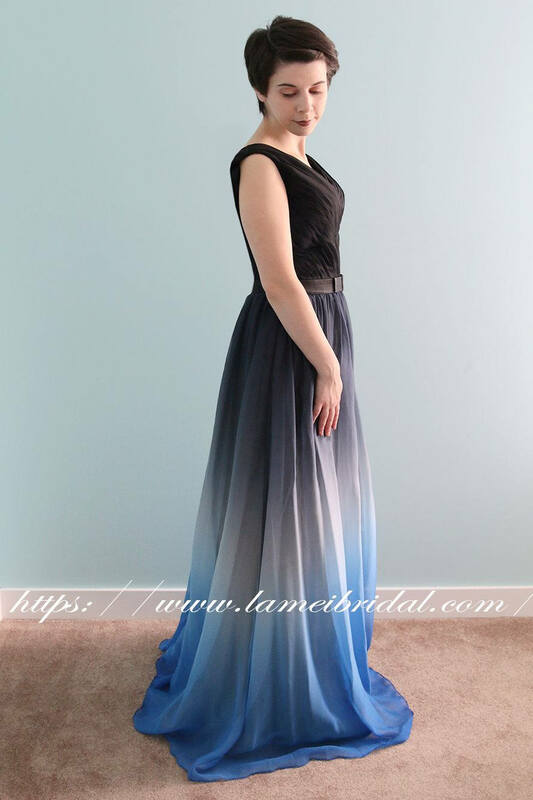 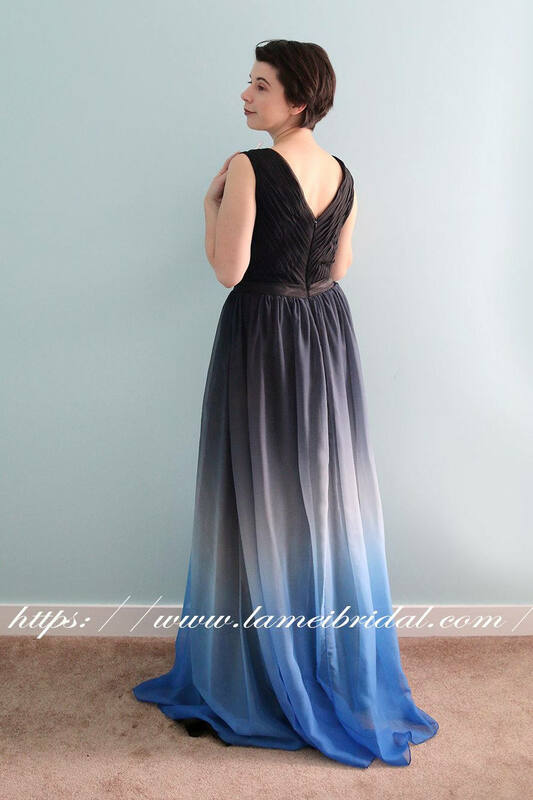 Gradient prom dresses continue to grow in popularity and this sensational design show you why. 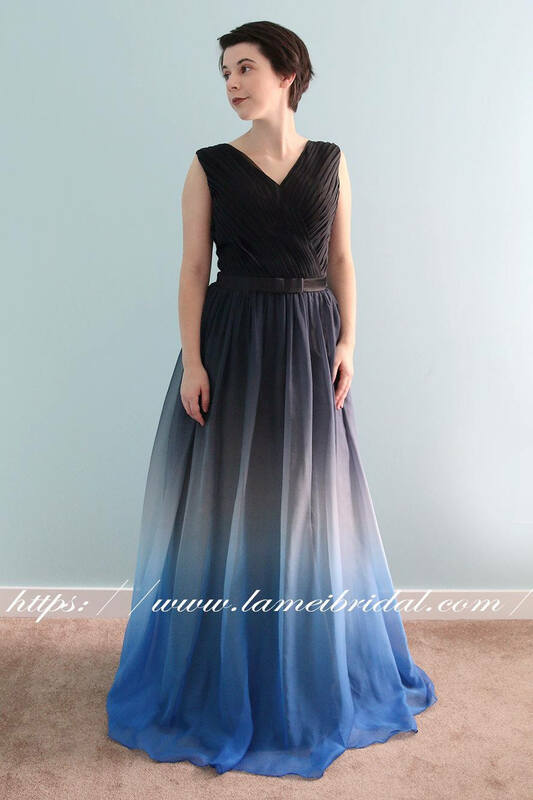 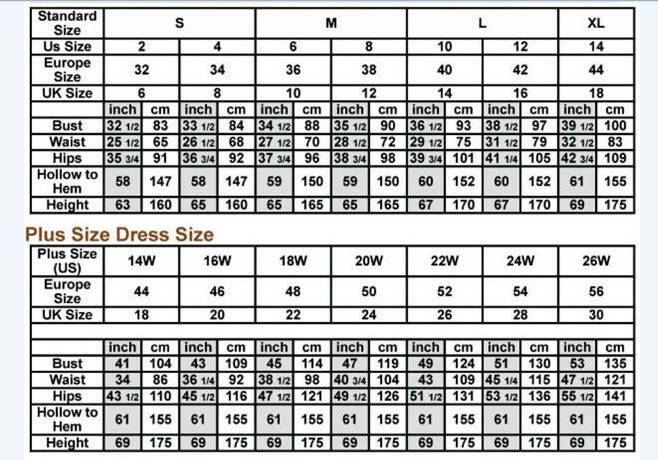 Besides being more comfortable, this dress can be worn again at a holiday party or formal wedding, and is easier to dance in. 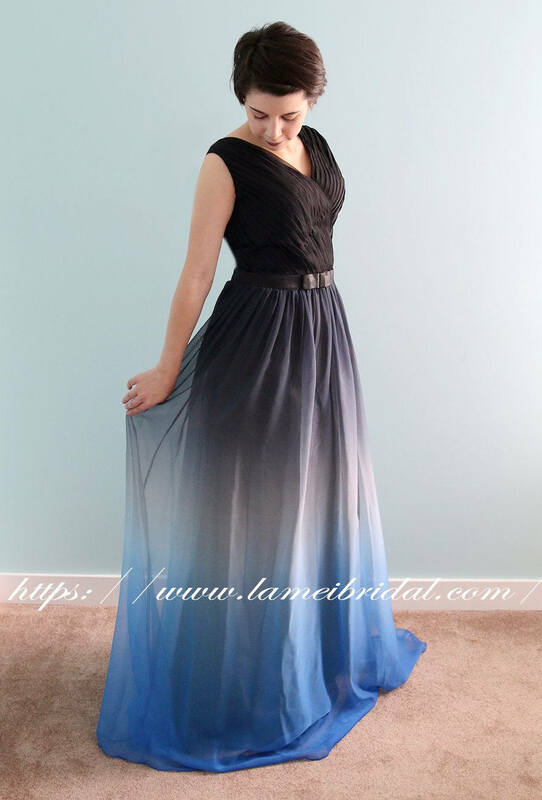 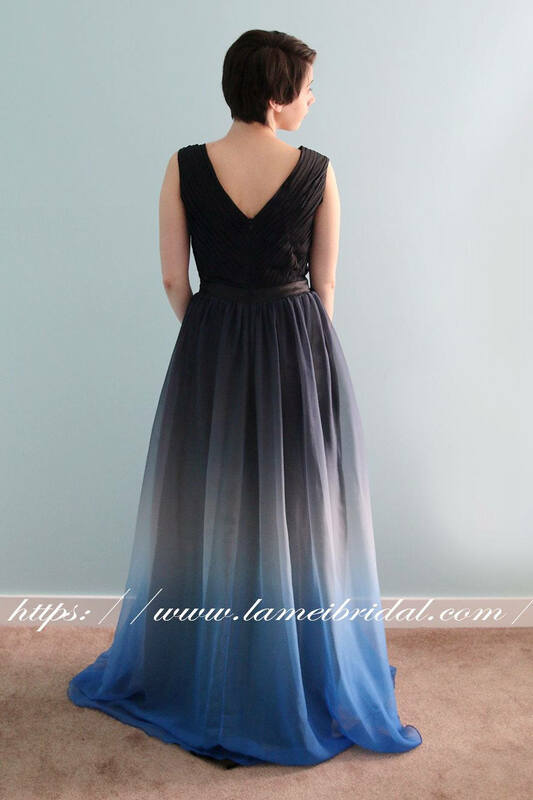 This is an ultra glamorous floor length modified A-line dress for the modern day princess look.